a) The relative number of “false positives” and “false negatives” it produces. b) The scale of these errors – are they marginal or extreme? a) 40% of appeals are overturned. This would be higher if more involved expert claimant representation (75%). b) There are numerous examples of people with serious, debilitating and degenerative illnesses being initially declared fit to work when clearly they are not. The third and final level of the internal Atos complaints procedure is a referral to an organisation called the Independent Tier which is shrouded in complete secrecy. The Liam Fox saga has again highlighted the importance of transparency and public scrutiny in securing appropriate standards of behaviour and propriety in the state sector. Why then does DWP not apply the same democratic principle with the Atos Independent Tier, where it claims effectiveness and impartiality can only be achieved through total anonymity. a) Bending and kneeling is still required to complete a WCA. b) Every warehouse and self-service retail outlet stores its merchandise to floor level. c) Every office uses desks and cabinets with drawers/shelves at floor level. d) Neither DWP nor Atos can point to any evidence to support the assertion. e) Neither DWP nor Atos have within their own organisations a programme to eliminate or at least reduce this activity. f) DWP cannot point to any proposed legislation that would require or encourage employers to move in this direction. g) There are no plans to discontinue the HSE manual handling guides on the basis that bending/kneeling is no longer relevant. In addition, the points allocated for different severities of conditions against other descriptors have been reduced. i.e. one’s condition now has to be more severe to attract the same points as previously. Again, there is no scientific or objective basis for doing this. Motivation and objectives are quite clear from this approach. a) Regional JC+ office say they have no responsibility in this area and have no influence or authority with Atos. b) CMMS’s attitude is similar and in fact side with Atos more than a claimant. c) JC+ will proceed with making a decision which could result in stopping ESA payments even though they know that the Atos report at the centre of the decision is in dispute. Atos receive the benefit of the doubt rather than the claimant, which can hardly be described as support. Any information requested of Atos with regard to its work with DWP that it regards as awkward, it refers to DWP as a Freedom of Information request. This is even true for information provided by Atos staff and that Atos themselves have placed in the public domain. Once within FoIA procedures, obtaining answers to simple questions takes a long time and can be rebuffed using the standard response of “not being in the public interest”. This gives the distinct impression that someone has something to hide. As part of the Welfare Reform currently before Parliament, there is a proposal to place a 12m limit on contribution-based ESA. If passed, it will come into effect in April 2012 and will be effectively retrospective as anyone receiving it for 12m to April 2012, will have payments stopped immediately. At the very least, the clock should not start running until the proposal becomes law. This change is inconsistent and totally arbitrary. a) The limit will only be applied to people in a WRAG, not those in a Support Group (SG) even though NI contributions may be identical. This is neither fair nor logical in contrast to Government promises of simplification and rationalisation. If SGs require higher levels of benefit, it should be funded in another way. b) The clue to the purpose of NI contributions is in its name. It was conceived and always has been an insurance against certain unfortunate events that might arise in one’s working life, so the Minister cannot now change the terms on a whim. If the same were to happen in the private sector it would be classed as mis-selling and require financial compensation, so what is the Minister offering as an equivalent here? c) I can understand his concern about people who may have made few contributions over a short period but claim substantial benefits over a long period, but why then penalise their counterparts who have made contributions over most of their working life. If this was a genuine concern, he would have geared the input and outputs accordingly. d) There appear to be only two classifications of illness – permanent and temporary and the dividing line falls at 12 months – a totally arbitrary time limit based on no data or evidence whatsoever. With some conditions, recovery within 12 months may be perfectly reasonable in the normal course of events, but clearly not with others. The fact that recovery might take longer than 12 months obviously does not necessarily make the illness permanent. e) This policy discriminates against the elderly where recovery times are generally longer. Ironically, this is also the group that have probably paid most NI contributions. 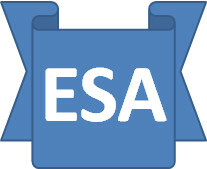 f) Yes, income based ESA is still there, but the qualification bar particular as regards savings is extremely low. The Minister well knows the pressure he has placed on pensions and is encouraging us to save, but then wants us to use those saving prematurely when it suits. g) DWP has already sent out warning letters which presupposes the legislation will be passed. This in itself is an extremely unusual step to take and will undoubtedly worry and intimidate some ESA recipients. h) DWP is able to implement changes like this rapidly, but not able to deal with ESA payments made to convicted criminals and mass murders, who receive it if held under the mental health act. i) If the Minister is so keen to introduce more means testing, where on his agenda do the other non-means tested benefits fall, including of course the state pension - I think I am right in saying that Sir Richard Branson and I both have the same pension entitlement. j) The Minister refers to the right help and support. I have been to my local JC+ and they had no idea what this means. Previously I had been pointed towards Working Links who likewise were no help whatsoever. k) This might not be so bad if the Government was adopting the same aggressive approach to the high earners, but this is not the case rather the reverse, where for them there is a general relaxation. Whilst awaiting an appeal hearing with the Tribunals Service, ESA continues to be paid at the assessment rate regardless of the amount paid prior to the WCA that resulted in the fit to work decision. Back dated payments are made if the TS decides in favour of the claimant, but this can take over 9 months. Despite this long delay and the fact that almost half of the appeals are found in favour of claimants, Chris Grayling wants to stop all ESA for cases on appeal. This will cause unbelievable hardship to many disabled people. 1. The contract with Atos has a few years to run and the early exit costs might be excessive. Nevertheless an early exit plan should be evaluated against the huge costs arising from the inefficiency of the current process. 2. The Government has set (but not declared) a ceiling for annual ESA payments and is now having to fudge the assessment criteria to meet it. This “top down” approach is precisely the opposite of the “bottom-up” approach (based purely on need) promised.